It’s back-to-school season in Boulder! 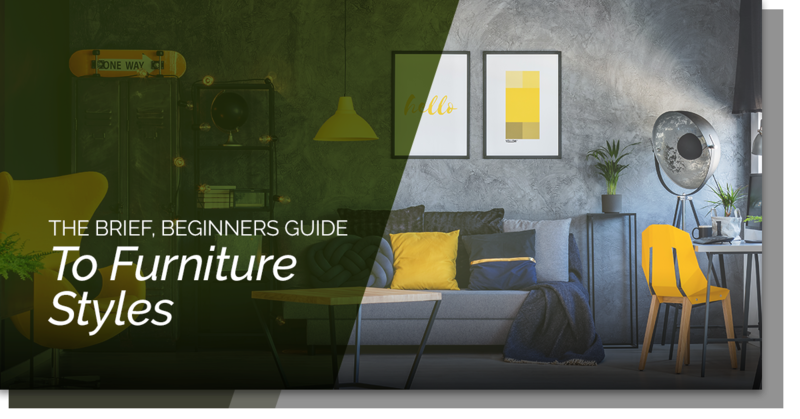 Whether you’re moving into a new dorm in Will Vill, a group apartment on the Hill, or a satellite house near Baseline, chances are you have to acquire some furniture — at an affordable price. At No Place Like Home, the Top Rated Local® used furniture store in Boulder, we’re no stranger to college move-ins. In fact, we’ve been helping Buffs since 1986 with all of their furniture needs. Check out the do’s and don’ts of college home decoration that we’ve learned over the years. For used furniture in Boulder, visit No Place Like Home today right along Antique Row on Arapahoe Avenue. Buying new furniture is a huge faux-pas in college life. Not only does new furniture come with a steep price tag, but it’s also not very conducive to roommate situations. It might seem like a great idea to split the cost of a new couch, but what happens when you all move out next year? Does one roommate take one cushion while the other gets a leg? It’s impossible to split up furniture. You might offer to pay for the entire thing, but keep in mind that your roommates will use the furniture for the whole year. The other thing about new furniture is that you don’t want to mess it up. However, really think twice about your college living situation: will you be throwing parties? Are you roommates as clean as you are? Are you planning on keeping this furniture for the next three years? Definitely keep these questions in mind if you are still considering buying new furniture. Buying used furniture in Boulder is one of the best ways to create a comfortable environment without needing to invest in new furniture. For one, the surrounding Boulder community is fairly affluent. This means that consigned furniture at used furniture stores is typically very high-end. You get excellent, high-quality furniture but at a used furniture price. When you buy used furniture, it also makes the whole headache of splitting it with roommates easier. Because it’s more affordable, you can buy it yourself and just keep it for the rest of your time in Boulder. Or, you can Venmo your roommates for it and figure out who wants what when you all move out. There are still some logistics involved, but it’s not nearly as difficult when you’re not talking about thousand-dollar furniture items. This goes for storage solutions, accessories, furniture, and anything that’ll make moving in more cumbersome. Why transport heavy furniture and bulky items to Boulder when you can easily find what you need in the weeks before school starts? Plus, you’ll have the help of your roommates and friends to transport items, pick out what you all like, and set it up in your house or apartment. You can also score some great hand-me-downs from seniors who are leaving and don’t want to deal with the hassle of moving college furniture. So, take a deep breath and trust that you can find what you need in Boulder. Make sure, in the case that you do bring things from home, that you have coordinated with your roommates beforehand. The last thing you want is three microwaves and zero pans. Start a text thread and be very explicit about what you want to provide. When it comes to furniture, choose a time that works best and go together to a local used furniture store. It’s much easier to furnish a home when you aren’t making all the decisions by yourself. It’s good bonding, too, to make these trips together. No Place Like Home features a variety of used furniture in Boulder. We have couches, chairs, tables, desks, lamps, beds, dressers, and just about any piece of furniture you could need for your college home. We also offer consignment services, so you can donate any furniture you do not need anymore. If you want to get furniture off your hands, check out our consignment guidelines. Browse our furniture selection today and stop by before the best pieces are gone!